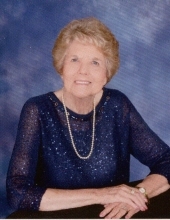 Delores E. Anderson, age 82, widow to Stewart Howell Anderson, married for fifty-three years, passed away December 31, 2018 in North Port, Florida where she had lived for the past three years. A longtime resident of Berea, Mrs. Anderson was born April 14, 1936 in Paintsville, Ky., to the late John and Elizabeth McClellan. Delores worked at Berea Hospital over forty years in various positions. She was a member of the Liberty Avenue Baptist Church, where she made many lifelong friends. She enjoyed Southern Gospel Music and her greatest treasure was her family, whom she loved. Delores is survived by her daughter Neshia (Stacy) Blackmon of North Port, Florida, one son Gary Anderson of Palm Beach Shores, Florida, two grandsons, Jon-Michael Joseph (Joanna) Osolnik of Astoria, New York, Joshua Stewart (Julie) Osolnik of Suwanee, Georgia, one great-grandson, Cole Jackson Osolnik, one sister Sandra Kay Riggs of Mt. Sterling, Kentucky, and a dear Aunt Jessie Boyd. She is also preceded by many nieces, nephews, cousins and friends whom she loved and loved her. A Celebration of Life Service will be held 2:00PM Friday March 29, 2019 at Liberty Avenue Baptist Church. Visitation will be 12:00PM till service time at the church. To send flowers or a remembrance gift to the family of Delores E Anderson, please visit our Tribute Store. "Email Address" would like to share the life celebration of Delores E Anderson. Click on the "link" to go to share a favorite memory or leave a condolence message for the family.